As an IT Solutions Provider we are constantly having to look to the future to predict how the IT world is shaping up. A lot of the time it’s simply smaller, quicker PC/Laptops and thinner, lighter tablets. Recently it’s mainly been about The Cloud and how we can use it in Schools and Businesses securely and cheaply. There are many Cloud based companies that offer storage such as Dropbox, Microsoft OneDrive and Apple iCloud but we want the Cloud to do more than that. Today, more than any other time in history, people move around A LOT. The move for work and for pleasure. Why would you want to commute to the office when you can stay at home or work from a coffee shop? To enable us to do this we have a few technologies we can take advantage of such as Cloud based Storage (as mentioned above), VPN and Remote Access Software such as TeamViewer or Logmein. The problem with this is we have to use different devices, we need our laptop to work from home, our office PC to remote into and our phone and/or tablet to answer emails etc on the move. The future of IT shouldn’t be about the Cloud it should be about integrating the technologies we use into one simply device. 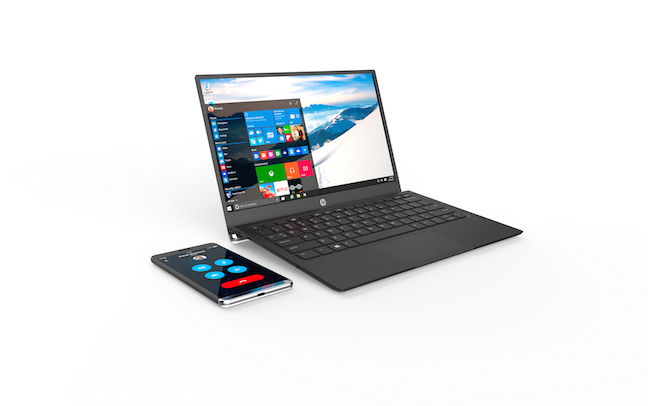 Wouldn’t it be great if, instead of carrying a laptop around and having to remote into your office PC, you had it all in your pocket? The future is coming! Today I found the HP Elite X3, it’s a HP phone running Windows 10 Mobile, simple enough we’ve seen that before! However! You can plug this simple phone into a dock which allows you to connect a mouse, keyboard and monitor, this simple phone is now a fully functioning desktop PC. The dock also allows you to plug into a HP Laptop and now operates as a fully function laptops. Undock the phone and you are away, you can pick up where you left off while it was docked as if you were still at your desk. It’s streamlined, it’s easy, its dynamic and it’s mobile. You can work from anywhere in the world on one devices! Why spend money on a laptop, a desktop and a mobile phone/tablet when you just need to buy one device. When we talk about using tablets to replace laptops the same arguments against the idea keep coming up; What about the small about of storage and a tablet isn’t powerful enough to run my applications. Those arguments have finally been answered. 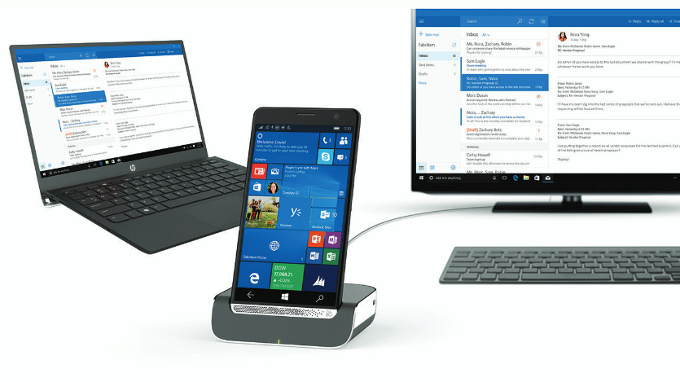 The HP Elite X3 has a Micro SD slot which can take anywhere up to a 2TB Micro SD, more than most standard laptops/PCs and its even packing 4GB of RAM which is probably about the market standard for a newish laptop. Our vision is that in the future is an office with docks and monitors that allows staff to walk in and plug into any dock and start working. It will be the ultimate hot desking experience but why stop there? The HP Elite X3 gives you freedom to work anywhere you like. I haven’t been able to have a play with the X3 as of yet but I can’t wait until I can as I’m sure it is capable of much, much more.